At Tavistock Books we are experiencing a problem that many booksellers before us have seen and many after will encounter. Space. Similar to the phrase “there is not enough time in the day,” there are not enough shelves in our store! We have filled every nook and cranny with books, with dogs, or with Giants bobbleheads. As it stands, in early December we are planning on doing some re-vamping in our store. Mainly, we will be building UP! Come check out our new, organized & feng shui-ed brick-and-mortar in the new year! In the Golden State in January & February 2015? 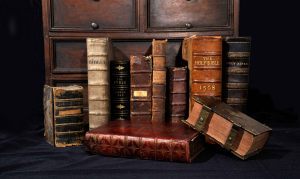 Don’t miss out on the 48th California International Antiquarian Book Fair to be held in Oakland, CA February 6th to 8th, and the Pasadena Fair January 31st & February 1st – both of which, you’ll be pleased to know, will sport a Tavistock Books booth! Barry, T[heodore]. A[ugustus. 1825 - 1881]. Patten, B[enjamin]. A[dam. 1825 - 1877]. Phelan, James Duval [1861 - 1930] – Former Owner. 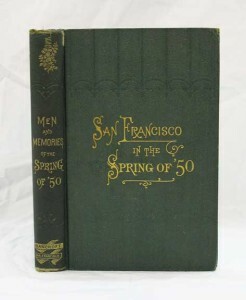 MEN And MEMORIES Of SAN FRANCISCO, in the “Spring of ’50.” San Francisco: A. L. Bancroft & Company, 1873. 12mo. 7-5/8″ x 4-7/8″. 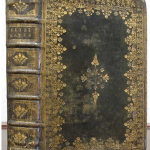 Green cloth binding with gilt stamped title lettering to spine & front board. Green eps. Gilt bright. Slight lean, small abrasion to cloth at top of front joint. Foxing to edges. Bookplate of James D. Phelan [former mayor of San Francisco, 1897 - 1902] to front paste-down. Period ownership signature of Mrs M. G. Willson. Withal, a VG+ copy with a nice, associated provenance. $275. 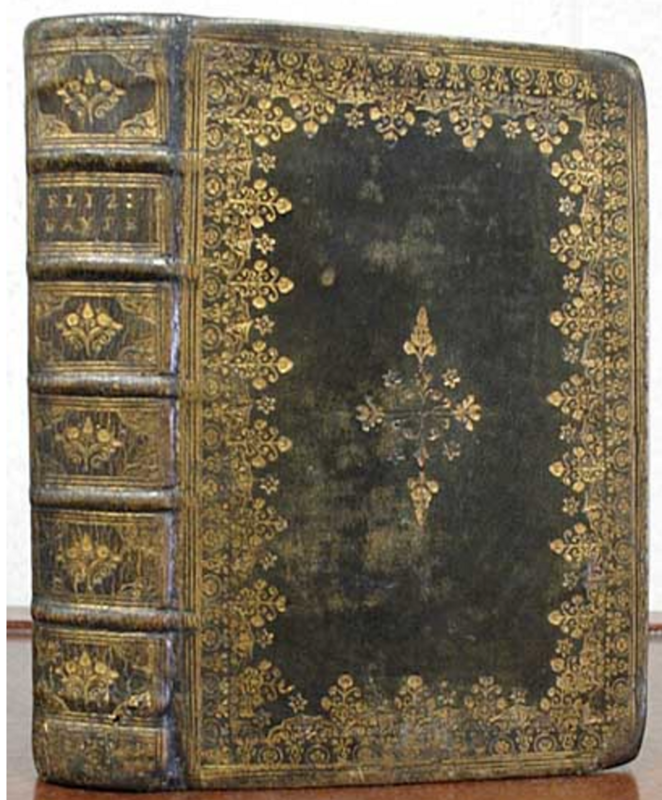 1st edition (Cowan II, 36; Graff 197; Howes B-192; Kurutz 38a; Rocq 8248; Wheat 12). Per Cowan I, “a most brilliant panorama of the times…”, and per Wheat, “Informative and engaging gossip respecting old-time personalities and events.” The authors arrived in their adopted state before January 1, 1850 & proudly answer to the moniker, “pioneer”. This book gives those that came later, and without such status, “a detailed picture of the city as it existed a few months before California statehood. They describe the streets and the residences and business that lined each thoroughfare and alley as well as the men and women who owned those homes, boarding-houses, hotels, restaurants, saloons, stores, offices, and shops. They also chronicle the fire of May 1851 which destroyed so many of the structures they describe. While they focus on the city as it was in early 1850, their sketches of its residents extend further, often forming capsule biographies of their subjects.” [OCLC]. Next Tuesday, the 18th, will see our annual “Holiday List” once more filling your inbox with goodies. Definitely won’t want to miss this one – the pictures are spectacular, as usual! Our next blog will be sent out on November 26th, all about Children and the Christmas Spirit. Be sure to sign up for our mailing list if you would like to be informed of each new blog post from Tavistock Books. Email msp@tavbooks.com here. This entry was posted in Antiquarian Books, Collecting, Events, Gift Ideas, Uncategorized on November 12, 2014 by tavistock_books. Valentine’s Day is upon us. If this day of hearts, candy, and warm fuzzies isn’t exactly your cup of tea, you’re not alone! Here’s a look at our three best less-than-romantic rare books for the holiday. The title of this work is quite misleading; the events have no relevance to Twain’s life. 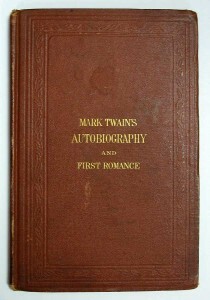 The book, published by Sheldon & Co in 1871, contains two separate stories: “A Burlesque Autobiography,” which first appeared in Twain’s Memoranda contributions to The Galaxy; and “First Romance,” which was originally published in The Express in 1870. They were not Twain’s favorites; indeed, two years after the book was published, he bought the printing plates and destroyed them. 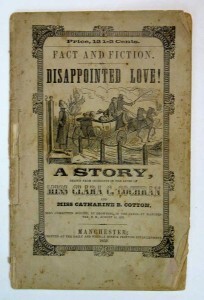 Just as the story has no real connection to Twain’s life, the illustrations also have no connection to the text. They use illustrations of the children’s poem The House that Jack Built to criticize the Erie Railroad Ring and its participants. Though Cowan published a number of works, he’s probably better known for being Andrew Jackson’s personal secretary for managing land patents. Cowan was appointed to the position in 1867 and remained in the post until Jackson was succeeded by Ulysses S Grant. That same year, Cowan perpetrated a major literary hoax with his friend Thomas Birch Florence, who owned a failing Georgetown newspaper. In an effort to bolster sales, Cowan and Florence came up with a fantastic story; they reported that the body of an Icelandic Christian woman who’d supposedly died in 1051 had been found under the Great Falls of the Potomac River. The body proved that other settlers had reached America a full five centuries before Christopher Columbus. Though the story did bolster sales, Cowan and Florence were eventually found out. The drop title of this work is “Drawn from the lives of Miss Clara C Cochran and Miss Catherine B Cotton, Who Committed Suicide, By Drowning, in the Canal at Manchester, N. H., August 14, 1853.” The two young women worked and roomed together at the Manchester Corporation and had “frequently expressed a purpose to drown themselves.” But their housemates thought little of it and paid the girls no heed. Then on August 14, 1853, Cochran and Cotton “proceeded hand-in-hand, with great apparent cheerfulness, to the bridge crossing the upper canal…and together leapt into the water.” A few people witnessed the event. The women had obviously premeditated their demise, as both left letters to loved ones and put their affairs in order. Cochran, only nineteen years old at the time of her suicide, stood to inherit a large sum on her 21st birthday, which made her motives even more inscrutable to her contemporaries. What are your favorite obscure or eccentric tales of love? And what rare book would you most like to receive for Valentine’s Day yourself? This entry was posted in 19th-Century Literature, Antiquarian Books, Events, Gift Ideas and tagged Frank Cowan, gift ideas, Mark Twain, rare books, Valentine's Day on February 11, 2014 by tavistock_books. When Clement Clarke Moore published “A Visit from Saint Nicholas” anonymously on December 23, 1823 in the Troy Sentinel, he couldn’t have known that it would become an international phenomenon. But the poem not only gave names to Santa’s eight reindeer. The illustrations of the poem’s reprints significantly impacted our perception of Santa Claus. Caricaturist Thomas Nast would later illustrate jolly old Saint Nick, cementing our concept of him as a jolly. bearded man. And Coca-Cola would eventually be the first to bring us Santa in a red coat. We can thank Washington Irving and Charles Dickens, however, for resurrecting Christmas as a holiday for joyful family celebration. Before Christianity took hold, pagan rituals were routinely honored on the winter solstice. On this day, people would celebrate the triumph of light over darkness. Early church officials, eager to supplant these rites with their own, wisely chose to make Christmas celebrations correspond to these pagan rituals. The strategy had one caveat: the Church couldn’t dictate how people would celebrate Christmas. Thus, Christmas had mostly replaced pagan holidays by the Middle Ages, but holiday observances were usually far from pious. Believers might go to church, but afterward citizens would gather for rowdy festivals similar to Mardi Gras. Each year a student or beggar would be named “Lord of Misrule,” and festival attendants would play the role of his subjects. Meanwhile the poor would go to the homes of the rich to demand food and drink. Non-compliant homeowners risked mischief. Oliver Cromwell was the original Grinch, canceling Christmas when he took over England in 1645. 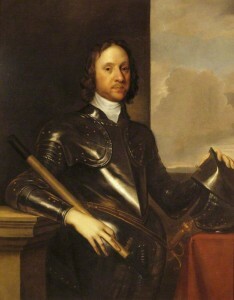 But Oliver Cromwell proved to be the original Grinch. A staunch Puritan, Cromwell believed that Christmas was a decadent and unchristian holiday. When he took over in 1645, he vowed to rid England of such indulgences and cancelled Christmas. In 1660 Charles II was restored to the throne by popular demand and reinstated the holiday. But the holiday wouldn’t immediately take hold. By Dickens’ time, the Industrial Revolution had all but destroyed the holiday in Great Britain–for most people, Christmas was still a work day. Meanwhile the Puritans had left England to settle in the New World. For the most part, Christmas went uncelebrated in the colonies. In Boston the observation of Christmas even bore a five-shilling fine from 1659 to 1681. (Jamestown was a notable exception: Captain John Smith–the first person ever to consume eggnog–reported in 1607 that the settlement happily enjoyed the holiday.) The American Revolution proved a death knell for traditions of British origin, so Christmas again fell out of favor. It would not be declared a national holiday in the United States until June 26, 1870. Washington Irving, the Real Father Christmas? When Washington Irving published Knickerbocker’s History of New York (1809) under the pseudonym Dietrich Knickerbocker, New Year’s Eve was New York’s only real winter holiday. The book parodied American life, and Irving satirized the traditions of New York’s Dutch settlers. He poked fun at their patron saint, Nicholas, whom they called “Sanct Claus.” In Irving’s account of Oloffe the dreamer, Oloffe, a prophet and land speculator, dreams of a night where “the good Saint Nicholas came riding over the tops of the trees, in that self-same wagon wherein he brings his yearly presents for children.” Irving’s St. Nicholas not only delivers presents to children in a sleigh; he also smokes a pipe and places the presents in stockings hung by the chimney. John Pintard’s St. Nicholas isn’t quite the jolly figure we imagine today! Irving had some unsolicited assistance in St. Nick’s makeover. New York Historical Society founder John Pintard publicized an engraved picture of St. Nicholas–admittedly looking less than merry–as a symbol of New York City. But Americans remained ambivalent about the holiday. Members of different religious denominations had different concepts of what the holiday should be; some saw Christmas as sacred, while others still believed it blasphemous. Observation was spotty at best, though enterprising Boston merchants advertised ritual Christmas gift exchange as early as 1808. Irving moved abroad in 1815, and it was not until several years later that he would write another bestseller. The Sketch Book of Geoffrey Crayon was published in several installments from 1819 to 1820. Sandwiched in between American classics like “Rip Van Winkle” (first installment) and “The Legend of Sleepy Hollow” (sixth installment), Irving published five Christmas stories in The Sketch Book’s fifth installment on January 20, 1820. He’d spent time at Astor Hall, recently leased from Adam Bracebridge by James Watt and passed the Christmas holiday with the Watt family. 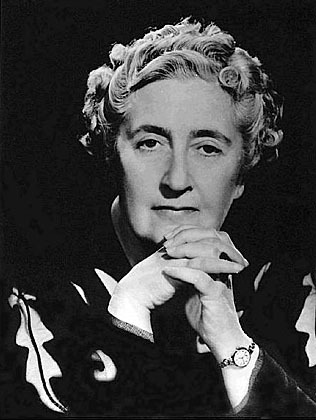 Irving was charmed by their Christmas traditions, reinventing Watt as the benevolent “Squire Bracebridge” in “Bracebridge Hall.” In “Christmas,” Irving writes, “But in the depth of winter, when nature lies despoiled of every charm and wrapped in her shroud of shielded snow, we turn for our gratifications to moral sources.” He would later explain the tradition of hanging mistletoe to American readers with a footnote in “Christmas Eve.” Irving believed that America could use a dose of English Christmas tradition, particularly the part where the poor are welcomed into the homes of the wealthy for a meal. Historians mostly agree that Irving idealized the English country Christmas in The Sketch Book, but the veracity of his accounts wasn’t important to Americans. They embraced Irving’s stories. Then in 1828, the New York City Council had to create its first police force in response to a Christmas riot. The upper class decided it was time to reinvent the holiday, and Irving’s accounts fit the bill. By 1835, New Yorkers had all but abandoned Christmas revelry in favor of more idyllic celebrations at home. Christmas was revived in America. 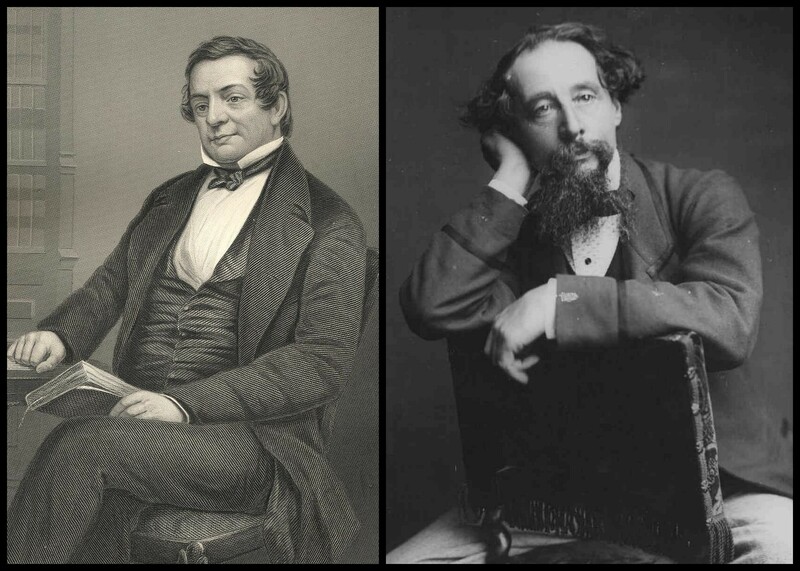 Charles Dickens visited the United States in 1842, and Washington Irving hosted a dinner in his honor on February 1 of that year. Numerous luminaries attended, and the event made headlines. When Dickens addressed the audience and thanked his host, he admitted his own devotion to Irving: “I say, gentlemen, I do not go to bed two nights out of seven without taking Washington Irving under my arm upstairs to bed with me.” In The Pickwick Papers, Dickens evokes Irving’s Squire Bracebridge in the character of Mr. Wardle, who merrily reminds his guests that it’s customary to while away the hours of Christmas Eve with games and ghost stories. Dickens again adapts Irving’s presentation of Christmas in A Christmas Carol, placing them in Mr. Fezziwig’s hall and in the home of Scrooge’s nephew, Fred. Thus he takes Christmas out of the country manor and brings it to working class London. Dickens’ Christmas is also centered on family and children, rather than church or community, another paradigm shift that Victorians readily embraced. Dickens brought suit against five defendants for selling a piratical edition of ‘A Christmas Carol.’ Only one fought the charges, and the account makes for interesting reading! Dickens wrote A Christmas Carol in only six weeks during the autumn of 1843. It was published on December 19, and all 6,000 copies sold out that day. Dickens had chosen to illustrate the book with colored plates, but the expense associated with that method cut into his profits. It would be the first and only book he published with such plates. The illustrations, however, helped to bring Dickens’ Christmas to life and have since inspired a number of talented illustrators–not to mention printers and book binders who have also been taken with the work. A Christmas Carol has never gone out of print, and so many editions exist that the book is the perfect subject for a single-title collection. Dickens would write other Christmas tales, but none of these would have such an influence on the way the holiday was celebrated. Dickens’ exhausting schedule of reading tours–the first of which was for A Christmas Carol– doubtless helped promulgate his vision of Christmas, as well. Washington Irving and Charles Dickens helped to pave the way for a rich tradition of Christmas literature, ranging from community cookbooks to children’s books. But these contributions are merely one facet of the authors’ incredible legacies. 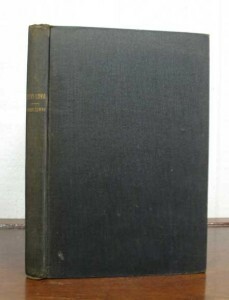 This entry was posted in 19th-Century Literature, Americana, Charles Dickens, Collecting, Gift Ideas and tagged Charles Dickens, History of Christmas, Industrial Revolution, Oliver Cromwell, restoration, Washington Irving on December 18, 2013 by tavistock_books. The holidays are just around the corner. Santa is filling his bag, polishing his sleigh, and ensuring the reindeer are getting plenty of cardio in advance of the big night, December 24th. And perhaps that ‘big gift’ for your loved one(s) is already secreted away in the closet or a drawer, but stocking stuffers, accompaniments and remembrances for friends have yet to be secured. And in that vein, Tavistock Books offers our Holiday list, “A 100 for a $100 (or less! 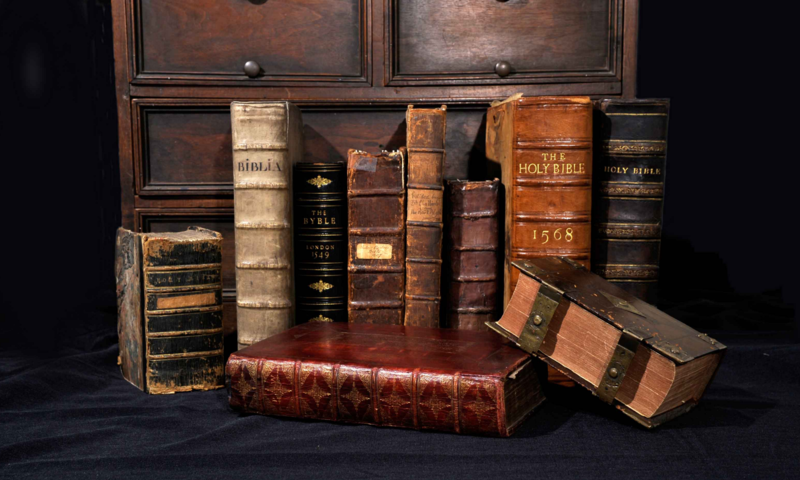 ).” The one hundred books that comprise this list have been individually selected for their interesting & diverse nature, gift quality appearance, and modest price. You’ll find the entire list of select acquisitions online, and we invite you to peruse it. The list may be sorted by various means; just select your preferred option from the upper right. Should you have queries regarding any of this material, or other listings you may find on our site, please contact us! We thank you for your attention, and we hope you find something of interest while browsing these offerings. 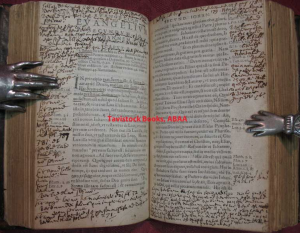 This entry was posted in Collecting, Gift Ideas and tagged 100 for $100, select acquisitions on December 11, 2013 by tavistock_books. Born into a “family of gilt-edged artists,” it’s no wonder that Maurice Boutet de Monvel eventually established himself as a premier portrait painter and watercolorist. When the artist turned his attention to illustrating children’s books to support his family, his illustrations were magnificent enough that he’s considered one of the great figures of the Golden Age of children’s literature, alongside Kate Greenaway and Randolph Caldecott. Boutet spent the majority of his childhood in Paris. In early 1870, he began studies at the École de Beaux Arts, but his studies were interrupted by the Franco-Prussian War. He joined the French Army, and though he returned from the war relatively unscathed, he would forever after be particularly vulnerable to respiratory illness. Next Boutet continued his art studies at the Julian Academy under the tutelage of Gustave Boulanger and Jules Lefèbvre. In 1873, he displayed his first canvas at Le Salon and earned two medals over the next few years. Boutet greatly admired the works of José de Ribea and emulated Ribea’s dark style, using only chiarscuro. But he also recognized the need to lighten that heavy palette, which led him to work under Carolus Duran, whose light watercolors were considered revolutionary at the time. Then in 1876, Boutet went to visit his brother in Algiers. The light of the foreign landscape was a complete surprise to Boutet, and the artist drastically altered his style thereafter. He adopted a primary palette of oranges and blues, using the latter mostly to create shadows. Boutet made two subsequent trips to Algiers, in 1878 and 1880. Boutet’s life would change again in 1879 with the birth of his first child. He’d been married in 1876, but a child resulted in extra pressure to generate income and support his family. That was the impetus to venture into illustration. He began in 1881 with Les pourquois de Mademoiselle Suzanne (Miss Suzanne’s questions) by Emile Desbeaux and the reading book La France en Zig-Zag (Zigzagging across France) by Eudoxie Dupuis. Both were published by Charles Delagrave. 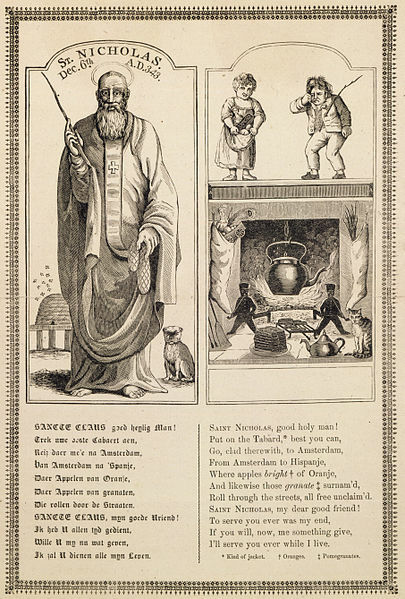 Delagrave was so pleased with Boutet’s work, he invited the artist to illustrate Saint Nicolas: Journal illustré pour garçons et filles (Saint Nicolas: A comic book for boys and girls). That endeavor was incredibly successful, so Boutet undertook Vieilles chansons et danses pour les petits enfants (Old songs and dances for young children) in 1883 and Chansons de France pour les petits Français (Songs of France for French Children) the following year. Yet Boutet was reluctant to give up his career as a “serious” artist. In 1885, he submitted an obviously royalist canvas for exhibition. “L’apothéose de la canaille, ou le triomphe de Robert Macaire” (“The apotheosis, or the triumph of Robert Macaire”) was so controversial, the Deputy Secretary of State for Fine Art pulled it just before the exhibition opened. Now publicly disgraced, Boutet resigned himself to a life outside the art world. Luckily his friend Edouard Detaille had just founded the Society of French Watercolorists and invited Boutet to exhibit there. He submitted a portrait of a girl dressed in Renaissance clothing, and the work was so well received that Boutet found himself quite occupied as a portrait artist. 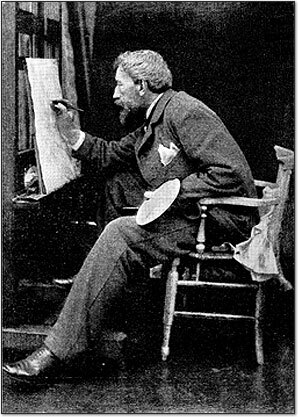 Yet he to illustrate children’s books and serials, contributing to Saint Nicolas until 1890. Boutet also created illustrations for Quand j’étais petit (When I was young) by Lucian Briart in 1886, and La farce de Maître Pathelin (The farce of Master Pathelin; 1887), a comedy from the Middle Ages adapted for modern verse by Georges Gassies de Brulies. 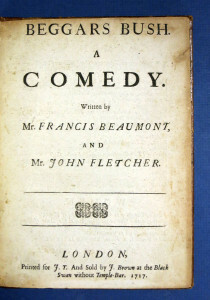 He would go on to design and illustrate La civilité puerile et honnête raconté pour l’Oncle Eugene (Puerile, honest civility recounted by Uncle Eugene), a manners book for children. 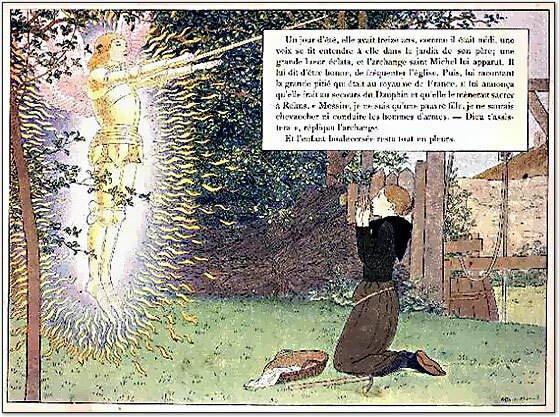 In 1890, Boutet illustrated Ferdinand Fabre’s novel Xavière. The illustrations were reproduced using a new photoengraving technique that produced incredibly high-quality images. It’s quite rare to find Boutet’s ‘Jeanne d’Arc’ in its dust jacket. Six years later, Boutet would complete the work that brought him lasting fame as a legendary children’s book illustrator. 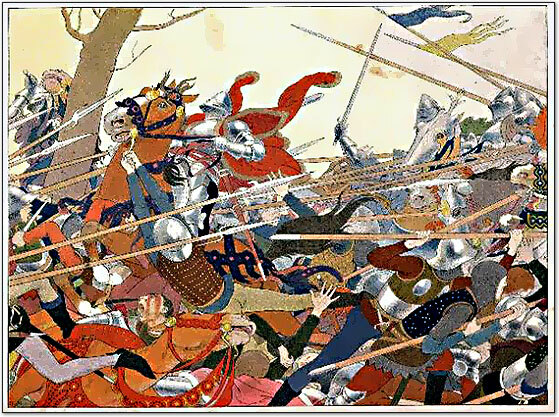 Published by Plon, Nourrir, et Cie, Jeanne d’Arc was masterfully illustrated in watercolors. Zincotype, a technique that blends etching with colored inks, was used to reproduce Boutet’s breathtaking images. Following the 1896 publication of Jeanne d’Arc, Boutet enjoyed international acclaim. He heavily influenced the young school in Vienna and was invited to tour the United States. He was commissioned for numerous portraits and projects while he was in America. but was unable to complete the most ambitious: a series of large panels based on the illustrations of Jeanne d’Arc. 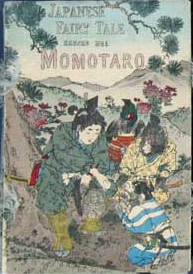 The Japanese style of illustration was popular in Boutet’s day. The works of Boutet represent an ideal intersection of art and literature for discerning collectors. The multitude of serial and individual publications to which he contributed are fruitful ground for building a fascinating collection. This entry was posted in 19th-Century Literature, Children's Books, Gift Ideas and tagged Golden Age of Children's Literature, Jeanne d'Arc, Joan of Arc, Kate Greenaway, Maurice Boutet de Monvel, Randolph Caldecott on October 10, 2013 by tavistock_books.